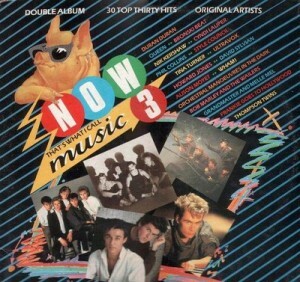 Now That’s What I Call Music 3 or Now 3 was released in 1984. The album is the 3rd edition of the (UK) Now! series. It was the third consecutive album of the series to reach #1 in the UK, staying there for 8 weeks, the longest run at number 1 out of any Now albums on the UK Albums Chart until the Compilations Chart was created in 1989. It was also the 300th album to reach number 1 in the chart’s history.